It is commonly agreed that it is legal to (a) evade usury and (b) avoid taxes. 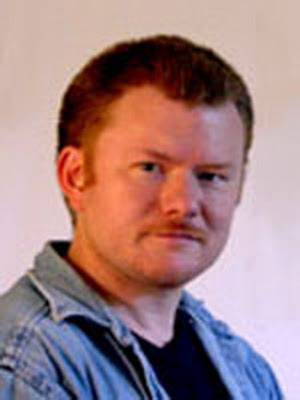 The UsuryFree Network is both a local and global network of usuryfree creatives who are focused on experiencing the reality of usuryfree living in this incarnation. NOTE: Please "like" The UsuryFree Network and/or "join" UsuryFree Creatives and invite other SDI entrepreneurs to do likewise. The UsuryFree Network in co-operation with usuryfree creatives everywhere are working hard to promote and expand the usuryfree community currency movement. Information and resources are being shared with those who are ready and willing to be re-educated about modern money creation. Two activities that are commonly addressed are our right and duty to (a) evade usury and (b) avoid taxes. The best was to "evade usury" is to earn extra income, while "avoiding taxes" when possible and making it a priority to pay off usury-bearing debt! During UsuryFree Week, local communities anywhere/everywhere are invited to host meetings or gatherings where people can learn how to (a) evade usury and (b) avoid taxes. Let's connect and clarify these two noble activities (a) evading usury and (b) avoiding taxes. 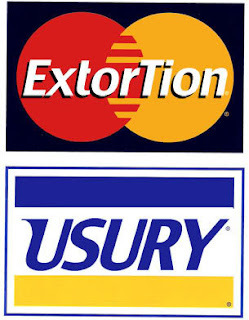 Usury is correctly labelled as the killer machine that keeps debtors financially enslaved to creditors for generation after generation. 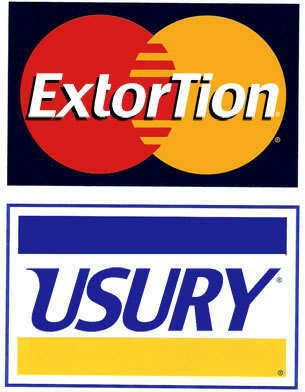 The exacting of usury on debt causes ongoing and perpetual growth of the debt. It is legal to "evade usury" and it is legal to "avoid taxes." Avoiding taxes is not an activity that many debtors consider as a right or duty. 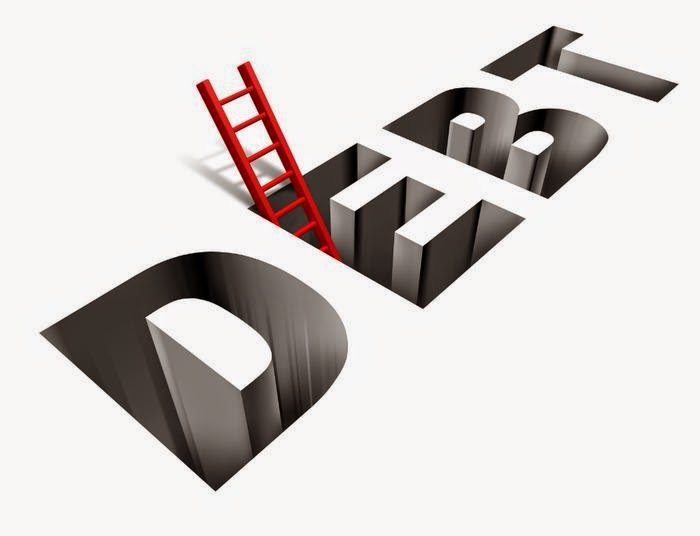 Few people bother to connect the dots to fully comprehend that the majority of income taxes levied by the provincial/state and federal levels of government goes directly to pay for debt service - paying 'interest' or 'usury' on government debt. 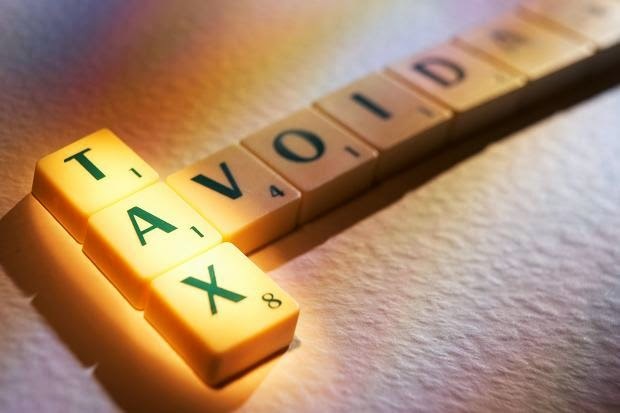 While it is illegal to 'evade taxes," it is perfectly legal to "avoid taxes." One of the best ways to avoid taxes in this 21st Century is for every individual who works as an employee to launch a part-time enterprise that can be operated from one's place of residence. There are many expenses that qualify for legitimate income tax deductions for entrepreneurs that are not available for employees as described in this article: "Tax Benefits of an SDI Enterprise." The business opportunity that offers the widest range of legitimate expenses that can be deducted is a home-based enterprise within the SDI (Self Directed Income) profession. This is because the SDI profession has expanded to become a global phenomenon. As a portable business opportunity an SDI enterprise gives entrepreneurs an opportunity to deduct legitimate travel and entertainment expenses that are not available to wage-earning or salaried employees. Readers are invited to spend some time browsing the articles that are published at the SDI Eye Opener and at the UsuryFree SDI University to gain a better understanding of the SDI industry and its power and potential to become the optimal catalyst to usher in the forthcoming age of usuryfree living. Next, review some of the tried and proven SDI opportunities, carefully examining (a) the quality and prices of the products and/or services offered as well as (b) the sales and marketing plan, then choose one SDI opportunity to pursue. Keep an open mind to eventually developing an SDI Portfolio so that you can anticipate monthly earnings from more than one source. Once you have officially launched your part-time SDI enterprise start labelling and keeping all business receipts that can be legally deducted as an expense when you file your annual income tax returns. Next, make a commitment to regularly visit the UsuryFree Eye Opener to commence and/or continue your self-imposed re-education on topics that formal education neglects to teach. As you prospect and enrol new recruits to expand your part-time, SDI enterprise make it a pre-requisite that they commit to multiplying and duplicating your leadership. Teach them to keep all business receipts and encourage them to commit to a self-imposed re-education process by studying topics and integrating the knowledge freely offered at the twin blogs - The SDI Eye Opener and The UsuryFree Eye Opener and at the UsuryFree SDI University. And encourage all SDI entrepreneurs on your team or network to embrace and promote the usuryfree community currency movement. Teach them how to create and spend their own usuryfree community currency and encourage them to shop within their own loyal networks of SDI entrepreneurs by negotiating trades/exchanges using simple IOU's or any usuryfree community currency as a complement with their diminishing amounts of federal cash. Check out and share his short video clip titled: The Chicken Note. UPDATED NOTE (November 2014) - Whether you are a novice SDI entrepreneur or a seasoned and experienced SDI entrepreneur, I highly recommend that you inform yourself about MNU (Marketing and Networking University) by reviewing the content of this article titled: "Introducing MNU - Marketing and Networking University - The Optimal SDI Opportunity." Having an SDI Portfolio is becoming more commonplace as we progress into this 21st Century and MNU is the SDI opportunity that SDI entrepreneurs who promote and advocate the Portfolio concept have been waiting for - since (a) it does not conflict with whatever other SDI company's products and/or services that are being marketed by any SDI entrepreneur and (b) it is fast becoming the popular, SDI opportunity that not only offers unique, educational information and resources for both novice and seasoned SDI entrepreneurs but also offers a fair and generous compensation plan for those who choose to add MNU to their SDI Portfolio. As innovative SDI entrepreneurs committed to doing our part to make this world a better place, let's encourage SDI entrepreneurs' networks/teams everywhere to embrace and beta-test the Portfolio concept by adding MNU as the preferred second SDI opportunity in our respective SDI Portfolios. I guarantee, that with a focus on educating our networks of SDI entrepreneurs with the vehicle of MNU - everyone who chooses to participate will enjoy and share the mutual benefits of "teamwork making the dream work." To enrol with our MNU team, please click on my affiliate link and complete the application form NOW! NOTE: Another article authored by Beau Buckley, one of the co-founders of MNU, offers more relevant information about the resources available to enrolees with MNU, and it is titled: "Beau Buckley, A True SDI Entrepreneur Writes About The SDI Industry and MNU." NOTE: The optimal way to climb out of "Debt" is to (a) start your own SDI (Self Directed Income) enterprise and (b) learn how to negotiate with other SDI entrepreneurs to purchase products and/or services using partial federal cash and partial IOU"s or a local usuryfree community currency. 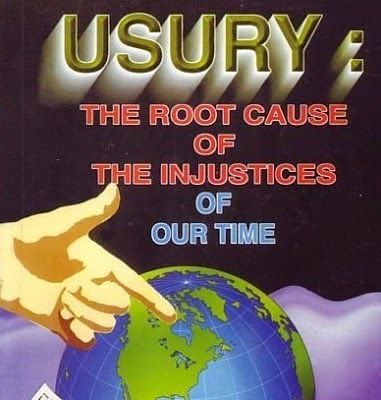 We - the SDI entrepreneurs have the power and potential to shift the economic paradigm away for usury-based, debt money so that everyone on planet earth can experience the reality of usuryfree living and enjoy "peace and plenty by 2020" and "Life Without Usury." Have you learned something today at the UsuryFree Eye Opener, the SDI (Self Directed Income) Eye Opener, UsuryFree Living or from communication with a UsuryFree Creative? To recognize the everyday usuryfree creatives who tirelessly advocate a usuryfree lifestyle, an initiative is being launched whereby grateful students are invited to make a donation in honour of a usuryfree creative who has opened their eyes to the possibility and the probability of experiencing a usuryfree lifestyle. In co-operation with usuryfree creatives the Family Life Foundation, a duly registered charitable organization, offers a unique gifting option for thanking usuryfree creatives for their ongoing and tireless efforts at re-educating The Court of Public Review. The Family Life Foundation is a champion of usuryfree living for debtors in Canada and elsewhere. The Family Life Foundation in co-operation with the UsuryFree Network advocates usuryfree living through innovative teaching strategies and by sharing meticulous and revealing research. The Family Life Foundation is an advocacy group for truth, honour and integrity in all matters pertaining to economics. 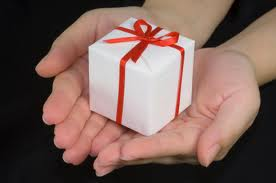 Any gift is deeply meaningful and will be gratefully accepted to help advance the ultimate mission of everyone on planet earth experiencing a usuryfree lifestyle. Making a donation to acknowledge a usuryfree creative for a tireless effort to re-educate those who are ready and willing to be re-educated is a meaningful way to express your appreciation while supporting a special initiative that closely mirrors - heaven on earth. That special mission is to experience the reality of a usuryfree lifestyle. Making this donation also supports the commitment of the Family Life Foundation to advance the growth and development of the usuryfree community currency movement. This initiative also follows the Family Life Foundation's mission to support family and foster the re-birth of community. The usuryfree creative honoured by your donation will receive a Winged Lion Award during the next annual UsuryFree Week - from November 13th to 19th, 2012 - and an acknowledgement letter from the Family Life Foundation. Each donor will receive confirmation of the gift and an income tax receipt from the Family Life Foundation for any gift of $10.00 or more. All gifts/donations gratefully received and much appreciated! UsuryFree Living is best understood by reading this article: "Life Without Usury." Given the ease of modern technology, we-the-people have the power and potential to experience the reality of usuryfree living in this incarnation. 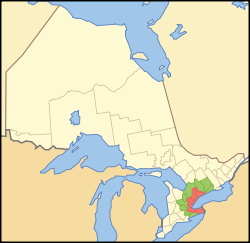 Wikipedia defines the Golden Horseshoe:"The Golden Horseshoe is a subregion of Southern Ontario, Canada which lies at the western end of Lake Ontario with outer boundaries stretching south to Lake Erie and north to Georgian Bay." The UsuryFree Network supports the notion of a usuryfree living project's viability within the boundaries of the Golden Horseshoe. What prompts this suggestion? For eight years, The UsuryFree Network in co-operation with the Family Life Foundation, The Non-Violence Festival, Dollars and Sense etc. has been co-sponsoring and/or co-hosting events that promote and foster usuryfree living. Many of these events occur each year during UsuryFree Week - from November 13th to 19th. This year, 2012 marks the 8th Annual UsuryFree Week. Readers are invited to read: "A Review of the Seventh Annual UsuryFree Week." The premise for the idea of successful, usuryfree living projects is supported by the high density of population within the boundaries of the Golden Horseshoe. Once the concept is tried and proven in a high density population area, it can then be copied elsewhere and adapted to areas of less dense population. The usuryfree time currency movement is the fundamental foundation block upon which any community can launch a project for usuryfree living. Two successful usuryfree time currency projects are: Ithaca Hours and Mountain Hours. The Tamworth Hours project which has been temporarily shelved is fully expalined in this article: "Did Tamworth Miss A Golden Opportunity?" Negotiating trades/exchanges with any usuryfree time currency requires an ever-expanding database of willing entrepreneurs - and the more dense the population, the more likely entrepreneurs will come forth as willing participants. Likewise, the more densely populated the area, the more consumers with a "shop local" mentality and these shoppers are needed to make their purchases from the local entrepreneurs using a combination of usury-based, deferal cash and usuryfree time currency. The UsuryFree Network is fully aware of the shifting consciousness of those astute consumers who are making a genuine effort to support the "shop local" phenomenon. More and more, the social networking scene is advocating that their followers/supporters "shop local." The UsuryFree Network, given its history of promoting the UsuryFree Resolution, is open to contributing its information and resources to advance the reality of usuryfree living. The UsuryFree Network, through its electronic media arm, The UsuryFree Eye Opener believes in the possibility and probability of usuryfree living and publishes an abundance of articles about usuryfree living. The UsuryFree Network has identified a unique resource or tool that has the power and potential to help advance and promote any usuryfree living project. That resource or toll is any (or all) duly registered provincial political party in the province of Ontario. As of July 12, 2012, there are 21 duly registered political parties in the province of Ontario in Canada. These are listed at Elections Ontario. Any one (or all) of these duly registered political parties is positioned to take a leadership role in advancing the forthcoming New Age of UsuryFree Living. The "tax credit' policies and procedures for duly registered political parties in the province of Ontario offer some unique opportunities that will bring mutual gain for all who choose to participate. The UsuryFree Network believes it is feasible for the area within the boundaries of the Golden Horseshoe, with its high density population to thrive with the introduction of a usuryfree living project, whereby people learn to use less of their (the bankers') money and pay them (the bankers') less fees (usury) and use more of their own usuryfree time currency which they can create and spend for FREE! The following pillars are required as a foundation upon which a successful usuryfree living project can be successfully launched and expanded. 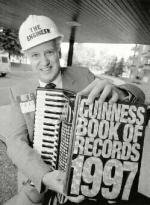 This article titled: "John KingofthePaupers Turmel Introduces The Pauper Party of Ontario" describes that party's policies, procedures and programs with some added innovative concepts that were first tested by the Abolitionist Party of Canada - a federal political party that was active in the 1993 Federal Election. Executive teams and supporters of all duly registered provincial political parties are invited to review the content of the above-noted article and borrow and implement any tried and proven ideas. Indeed, the timing is perfect for one (or all) duly registered political parties in the province of Ontario to come forth and lead the way to expedite the forthcoming Age of UsuryFree Living. Which one will actually, assume a leadership role and take action first? NOTE: This article was published in The Charlotte Observer on page 50A on Thursday, November 28, 1985. That is 26 years ago. Municipalities and/or provinces anywhere are invited to do likewise in this 21st century. Readers are invited to read The Innovative Proposal for more background information. national and international banking authorities. "People can change these bonds for money at any bank," Romero said. "They can use them to shop at supermarkets and to buy cars or any other products." 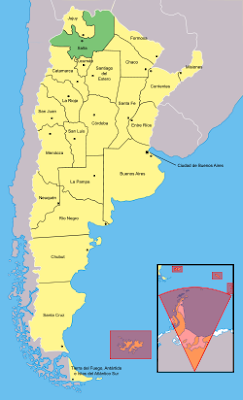 The Argentine government is not smiling, and world bankers are worried that other cash-starved states will copy Salta's financial extravaganza and jeopardize Latin efforts to curb inflation and pay huge foreign debts. The International Monetary Fund (IMF), the world's main financial inspector for debt-ridden countries, was concerned enough to bring up the issue in recent talks with the Argentine government, said sources in Argentina and Washington. The IMF does not comment on negotiations with individual countries. After Salta started quietly issuing its own IOUs in September last year, the nearby province of La Rioja started printing its own bonds too. Four other Argentine provinces have either begun adopting similar programs or are preparing to do so. In all cases, the bonds are good only within the province where they're issued. But the government of President Raul Alfonsin says the provincial bonds are expanding the country's money supply and are undermining efforts to remove Argentina from the list of world inflation leaders. a record low in recent history. The bonds printed in Salta come in denominations of 10, 100, and 1,000 australes, the same as ordinary Argentine currency bills. They pay no interest and can be either exchanged for Argentine currency or used to buy goods. Romero, of the opposition Peronist Party, and officials of other provinces claim their bonds are not really new currencies because they are no good outside their provinces. 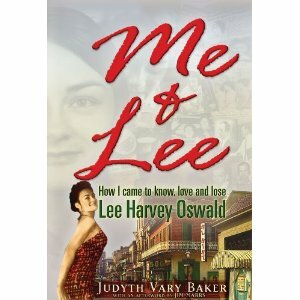 Judyth Vary Baker authored “Me and Lee: How I Came To Know, Love and Lose Lee Harvey Oswald” in 2010, 47 years after President John F. Kennedy was assassinated. The book is published by Trine Day. The day after Lee Harvey Oswald was shot on live television, Judyth Vary Baker received a telephone call from David Ferrie with these alarming words: “If you want to stay alive, it’s time to go into the catacombs. Promise me you will keep your mouth shut.” For a very long time Judyth Vary Baker remained silent. Since the book has been published, she has been forced to live in exile. Though I purchased the book at in Toronto, at Conspiracy Culture during the Seventh Annual UsuryFree Week in November of 2011, I had not taken the time to read it until just recently. I read the entire book (672 pages) on the July 1st weekend on 2012. I always doubted the mainstream story about the events of November 22, 1963 and now after reviewing the evidence in this book, I am absolutely convinced that indeed, Lee Harvey Oswald was the “patsy” and not the assassin of President John F. Kennedy. This is one of the best books ever written about the assassination of President John F. Kennedy. It brings out the character and personality of both Judyth Vary Baker and Lee Harvey Oswald. For me this statement reveals that Lee Harvey Oswald did not intend to aim at the President. Judith also revealed that Lee even contemplated firing a warning shot BUT he knew that the guns of the President’s Secret Service Team would be turned on him if he did that. Judyth Vary Baker uses an abundance of sources and footnotes to verify and support the information that she shares in the book. Judyth Vary Baker presents and incredible inside story of her experience as a young science student who dreamed of playing a role to find a cure for cancer and how she shifted her focus from studying at the University of Florida to becoming involved with the development of a biological weapon in New Orleans. As an enthusiastic, cancer research assistant she got swept up in a clandestine, CIA plot to create a biological weapon that was intended to assassinate Fidel Castro. While working on the bio-weapon, Judith Vary Baker was under the direction of Alton Ochsner, M.D., Dr Mary Sherman and David Ferrie. The first five chapters offer plenty of background information about her early years. We learn that Judyth’s family life was dis-functional in many ways. As well in these beginning chapters we learn much about Judyth Vary Baker’s knowledge and expertise regarding cancer research. In chapter 6, Judyth Vary Baker meets Lee Harvey Oswald as he was standing in line behind her at a post office in New Orleans, on April 26, 1963. In the book she explains that Lee Harvey Oswald who was discharged from the Marine Corps, worked for the FBI while infiltrating the local Mafia crime syndicate in New Orleans. 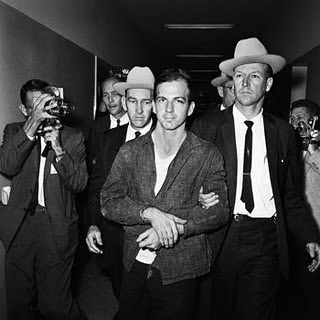 As it turns out the various agencies that Lee Harvey Oswald was working for would eventually frame him for the murder of President John F. Kennedy. All the time while in New Orleans Lee Harvey Oswald was infiltrating the pro-Castro meetings while pretending to be sympathetic to Communism. Lee Harvey Oswald was to deliver the bio-weapon to Cuba by way of Mexico, but something went wrong and the mission was aborted. The excuse was there was a hurricane, but Lee did not believe that was the real reason the mission was not completed. Lee explained to Judyth that he felt betrayed and that he would be falsely labelled a pro-Castro fanatic. Lee Harvey Oswald maintains he thwarted a plan to assassinate the President in Chicago earlier in November - temporarily saving the President’s life. In the book, Lee Harvey Oswald is portrayed as intelligent and romantic, while being a loyal friend to Judyth, a dedicated patriot for his country. As a CIA asset he was willing to risk and indeed give his life to protect the President and ultimately his country. The irony is that Lee Harvey Oswald accepted the mission to kill Castro with a biological weapon to give the perception of appeasement to the powerful forces that wanted to assassinate President Kennedy. I confess, I'm frustrated. If you value anything I do, please read this message. Imagine if you were a salesman, and you had a product that you knew would be really beneficial (to a life-changing degree, in fact) to anyone who bought it, but you couldn't tell people what it was before they paid for it. Wouldn't that be annoying? that, having read it, they think it's one of the most important books there is. Believe it or not, my purpose here isn't bragging, and the point of this message isn't even about my book. It's about the challenge of making something worthwhile, but having no way to show people how much it would be worth to them until AFTER they buy it--a salesman's worst nightmare (and I'm not even a good salesman to begin with). Well, that challenge is even more obvious with the "Escaping the Myth" event I'm doing--the first one up in Michigan later this month, and then hopefully similar events in New Hampshire, Pennsylvania and Florida within the next two months. 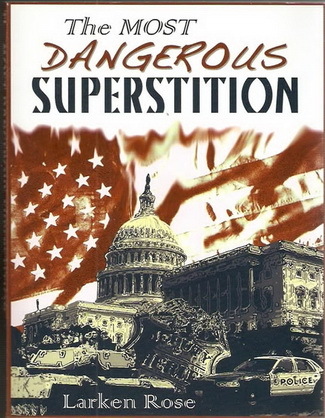 As much as a lot of people have raved about "The Most Dangerous Superstition," I think this event will blow it out of the water, when it comes to changing people's paradigms effectively, quickly, and relatively painlessly. Basically, I think it will do what 99% of freedom advocates have decided can't be done: getting through to "normal" people without making them plug their ears, run away, or have tantrums. However, the event is a lot harder to sell than the book, because: 1) no one has gone through it before, so there is no "word of mouth" about it yet; 2) it takes a bigger investment of time and money than buying and reading a relatively short book; 3) it's even harder to convey what the event does, and what people will get out of it, than saying "just read this book." The first "Escaping the Myth" event is two and a half weeks away, and so far there are only about a dozen people who have paid or firmly committed to be there. Now, as many of you know, I don't mind talking to even just one person, but because of the interactive nature of this event, having less than twenty people participating might make it less effective. (I'd still do it anyway.) What's frustrating is that I know that there are literally millions of people who, if they attended the event, would be very glad they did, but I have no way to prove that to anyone ahead of time, especially because no one has done it before. Anyway, the best I can do is tell people that if they attend, and the event doesn't change their view of reality, I will give them their money back. (Those on my list may recall that I did that with TMDS when it came out, with overwhelmingly positive results.) But who I really want at the event are all the "normal" people (not us weird folk who obsess about philosophy) who think that their view of reality is already just fine, and their assumptions, beliefs and actions are perfectly good and proper. In other words, the people I MOST want to be there are the LEAST likely to think they need what the event can give them.